South Korea will face Qatar in the Asian Football Federation Asian Cup quarterfinals on Friday. The match will be held at 10 p.m. Friday, Korea Time, at the Zayed Sports City Stadium in Abu Dhabi. Qatar ranks 93rd in the FIFA rankings, or 40 notches lower than South Korea. However, Qatar has emerged as a strong opponent in the Asian Cup, having scored a total of ten goals and winning all of its group matches. The last time South Korea and Qatar faced off was on June 14th, 2017 during the final preliminaries for the 2018 World Cup, when South Korea lost 2-3. Team Korea’s head coach Paulo Bento is unlikely to make any alterations to the lineup of players he has used so far. 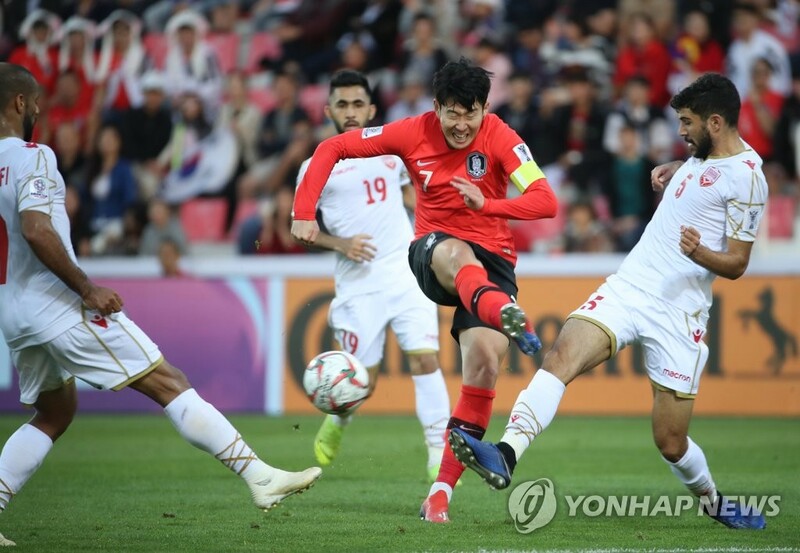 Hwang Ui-jo is set to be the frontline striker while Son Heung-min will take on the post of offensive midfielder as he had during the matches against China and Bahrain.